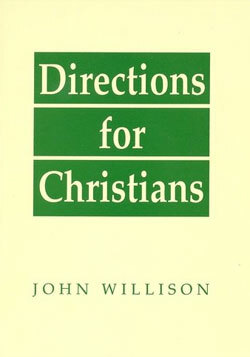 Directions for Christians contains a great deal of practical advice for Christians. This booklet will encourage believers to live by faith on Jesus Christ and to walk in a way that is glorifying to God. John Willison (1680-1750) was one of the most outstanding evangelical Ministers in Scotland during the early 18th century. His labours in Brechin and Dundee were blessed to many of his hearers. In addition to preaching, Willison also wrote extensively and he became famous for his devotional writings.